WHAT: Celebrity Cruises is excited to announce their participation as the Official Glass Sponsor at this year’s 6th Annual California Wine Festival Orange County at Lantern Bay Park in Dana Point on Saturday, April 18th, 2015. This delicious event will include tastings of world-class California wines, delicious gourmet food samples and live music under the sun! Visit the Celebrity Cruises wine lounge and enjoy wine samplings from local wineries including Rombauer, Kress and Amoroso wines, as well as learn about Celebrity’s latest “Pick Your Perk” promotion and their participation in the California Wine Festival at Sea (Alaska 2016). Celebrity will also have their "Vacation Planning Zone" on-site where guests can learn more about current news and exciting things happening on Celebrity Cruises. Guests can also enter-to-win a European cruise-for-two (drawing in June), as well as spin for a chance to win a Celebrity Cruises prize at the prize wheel and take away some of their popular swag. 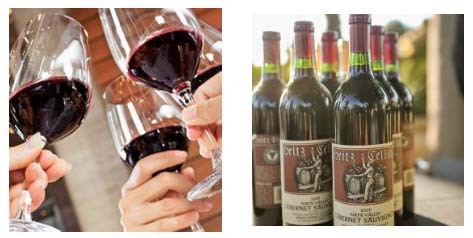 MORE: Visit http://www.californiawinefestival.com for more details.